Evidence-based radiology: why and how? To provide an overview of evidence-based medicine (EBM) in relation to radiology and to define a policy for adoption of this principle in the European radiological community. Starting from Sackett’s definition of EBM we illustrate the top-down and bottom-up approaches to EBM as well as EBM’s limitations. Delayed diffusion and peculiar features of evidence-based radiology (EBR) are defined with emphasis on the need to shift from the demonstration of the increasing ability to see more and better, to the demonstration of a significant change in treatment planning or, at best, of a significant gain in patient outcome. The “as low as reasonably achievable” (ALARA) principle is thought as a dimension of EBR while EBR is proposed as part of the core curriculum of radiology residency. Moreover, we describe the process of health technology assessment in radiology with reference to the six-level scale of hierarchy of studies on diagnostic tests, the main sources of bias in studies on diagnostic performance, and levels of evidence and degrees of recommendations according to the Centre for Evidence-Based Medicine (Oxford, UK) as well as the approach proposed by the GRADE working group. Problems and opportunities offered by evidence-based guidelines in radiology are considered. Finally, we suggest nine points to be actioned by the ESR in order to promote EBR. Radiology will benefit greatly from the improvement in practice that will result from adopting this more rigorous approach to all aspects of our work. 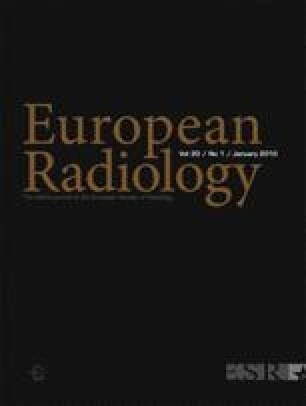 We sincerely thank Professor Yves Menu (Department of Radiology, Saint Antoine Hospital, Paris) for his suggestions regarding the subsection “EBR at the ECR”.